In the 1980s I felt an urge to learn more about and deepen my experience of the sea also under the surface, which led me to scuba diving and underwater photography. Through my diving hobby, I was awakened to a more profound and concrete understanding of the pitiful state of our own home sea, the small basin of brackish water – the Baltic Sea – as I saw with my own eyes the dead seabed and the waters made murky by blue-green algae. In 30 years, I have spent almost 2,000 hours taking underwater pictures, and logged more than 1,800 dives. Up until the 2010s I used a film camera, which had a great impact on the planning of the dive. Using film, I had a maximum of 36 exposures per dive, and as the flash batteries also had their limits, I had to think extremely carefully of what I would photograph, how I would frame my pictures, and how I would use light underwater. Towards the end of a dive I had to patiently spare a few exposures for any chance opportunities of taking top-notch photographs. 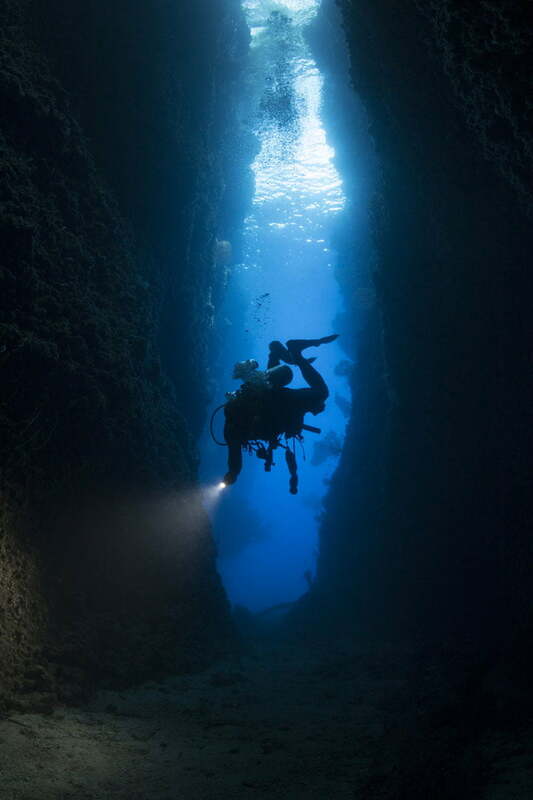 Today I use a digital camera, which allows for immense freedom and new possibilities during a dive. You will never run out of film, and you can later fix and reframe your pictures with a computer. I am, nevertheless, an ‘old-school underwater photographer’ in the sense that I always try to reach as good a result as possible already at the scene of the shoot. These days, I mostly take photographs in tropical seas, and have done so for example in the Maldives in the Indian Ocean, the Red Sea by the coast of Sudan, in Borneo in the Indonesian archipelago, in Sulawesi and Maluku, the Caribbean, and the Pacific Ocean in the archipelago of Papua New Guinea and the Solomon Islands. 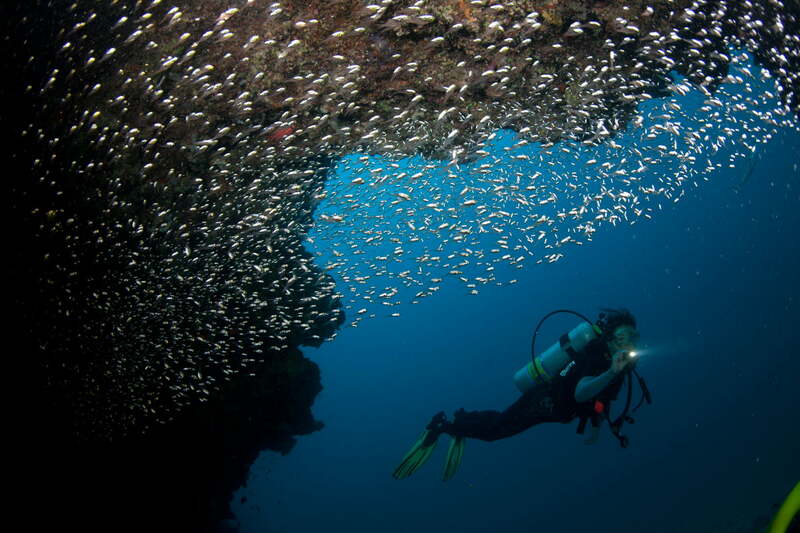 To the eyes of the diver, the sea always looks different through a macro or fisheye lens. A macro lens will open to us the extremely beautiful, interesting and versatile world of the oceans’ micro-organisms. 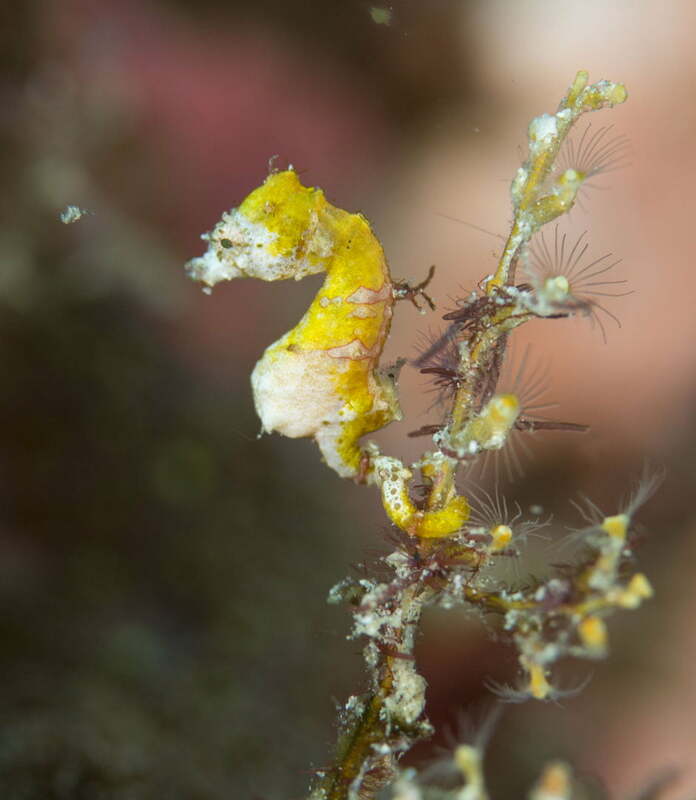 Many targets I have photographed with a macro lens, such as sea slugs and dwarf seahorses, have been less than a centimetre in size. The challenge in shooting such small targets is not just their small size, but also the trouble of finding them. Good diving safaris often employ diving sea biologists or local guides, who have thorough knowledge of the diving sites and their fauna. 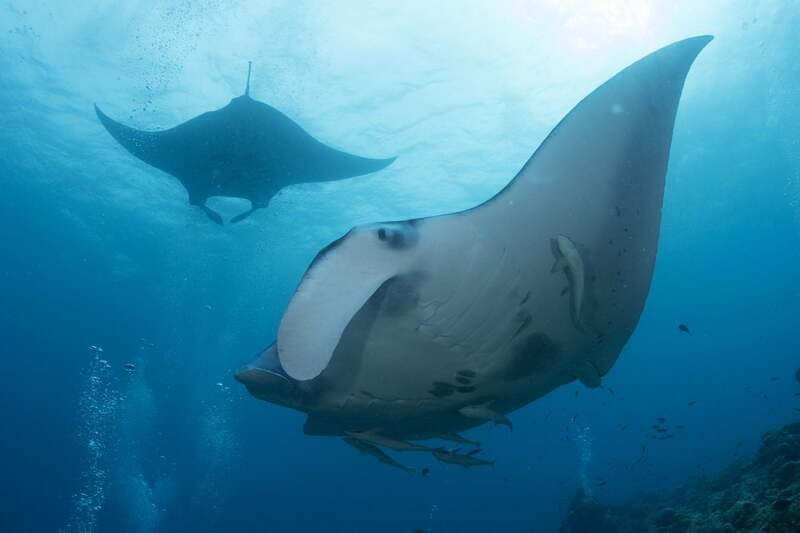 Encounters with larger sea mammals and fishes, such as plankton-eating manta rays and whale sharks, are the dream of all ocean divers and underwater photographers. These gentle giants of the sea show themselves to humans only rarely. Due to overfishing, sharks are unfortunately an endangered species. I have been lucky, as I have dived and photographed in locations where they were still plentiful. Through diving and underwater photography I have learned an incredible amount about the seas’ ecosystems, coral reefs, and their small and large inhabitants. My many sea voyages and diving safaris have also allowed me to share unforgettable moments with my family and children.